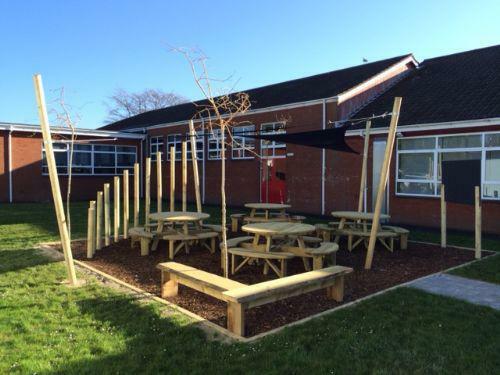 Ticket sales from Aladdin raised £1700 and we used this along with a donation of £2000 from the PTA to fund the outdoor classroom beside the annex building. This is part of our focus in developing outdoor play, which will conclude this year with the presentation of a new accredited award in June from Playboard. Thanks again to B M Landscaping for their advice and work.